Competition in telecom market is exceptionally high. Customers can readily switch to other networks if they are not happy with your services. Your company cannot rely on offering low rates to survive in the market; you have to deliver more than user expectations to create brand loyalty. Zong always values their customers, and that is why it is the widely used network of Pakistan. It facilitates its customers with best services and excellent bundle plans. 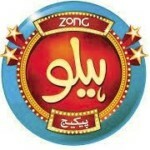 Zong has always been known for its cheap rates and incredible among customers. Through full gup offer, Zong gives you the benefit of countless calls, messages, and web surfing at the most reasonable rate of Rs 5 + tax. All Benefits of 1 offer! Talk unlimited at any Zong number with 75 on-net minutes. Nonstop chatting with your friends with 100 SMS for all local networks. If you want to connect with friends and family through WhatsApp, then Zong is offering you 30 Mbs of mobile data for all 2G, 3G and 4G customers. Want to enjoy all the services in one package on a daily basis then you should subscribe to the Full gup offer now, pick up your phone and dial 118*1# from your Zong prepaid connection. After successful subscription, you will receive a confirmation message. Offer is valid for all new and existing prepaid customers of Zong. You will get all the benefits for a day. The offer will auto-renew at midnight if you have enough balance otherwise it will get expire. In case of expiration or on consumption of allocated resources, rates according to per package plan will apply. Call setup charges of Rs 0.15 + tax will apply for every new call. FED tax will be applicable according to your region. 14% of withholding tax will apply to recharge, bill, and other usages. You can get quickly unsubscribe the Zong full gup offer by typing “Unsub” and send it to 1181. Apart from this, the offer will automatically expire if you don’t have enough balance of Rs 5 + tax. Zong Full gup offer is the answer to all your communication needs. It is a hybrid package with all sort of unlimited resources at lowest rates. You should activate this offer now to enjoy calling, messaging through SMS and WhatsApp. If you are a Zong customer, then you can get this offer by dialing activation code or in case you are not a Zong use you can get a new Zong SIM from the nearest franchise.